We’ve got a few hot news items worthy of an update! We are deeply honored to have the support of the legendary Dr. James Dobson, founder of Focus on the Family and now CEO of Family Talk. 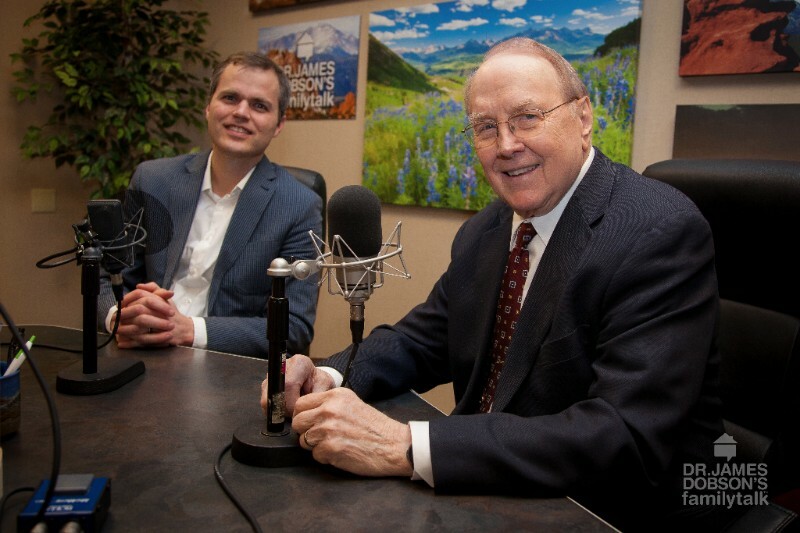 I recently spent time with Dr. Dobson in Colorado Springs, and was featured in his national broadcast. The episode is entitled Freedom from Hollywood: The Censorship War with VidAngel. Click here to listen to this broadcast. Please share this with everyone you know…here is our Facebook post with a sharable link! “Although the public interest in filtering is strong and Congressionally sanctioned, the injunction robbed the public of any viable means to filter. VidAngel is shut down; ClearPlay no longer functions for new releases; and the Studios have scared everyone else away. We believe the 9th Circuit will schedule oral argument on the appeal for sometime in May. We’ll let you know when it’s scheduled. Enjoy the entire brief here (it is worth the read). We are still actively seeking a legislative clarification to the 2005 Family Movie Act, to prevent the studios from continuing to misconstrue in the courts. We have more meetings in DC this coming week with various allies. As soon as we have further news on that front, I will let you know. People all over America are joining the cause every day. A group called #SaveFiltering, started by a Florida family, has now surpassed 160,000 signatures. We’ve also started a new page at SaveFiltering.VidAngel.com to let our supporters know how they can help. VidAngel Studios presents the award-winning comedy that’s taking film festivals by storm, TIM TIMMERMAN, HOPE OF AMERICA. If you are in Utah March 1st or 2nd, you are invited to attend the EXCLUSIVE premiere of VidAngel Studio’s FIRST ever theatrical release: Tim Timmerman, Hope of America! Let us know so we can get you tickets! If you are not near Utah, request that Tim Timmerman, Hope of America come to your local theater by clicking here. Like Tim Timmerman on Facebook. Share the trailer on Facebook. For more information about the premiere, frequently asked questions about the film and to watch the trailer, click here. Is VidAngel changing its mission? No. Our primary mission is to ensure families everywhere have the choice to filter content as they wish. We do not envision VidAngel Studios’ content replacing all the great Hollywood content available. We envision that it become a model for artists to use filter feedback to better meet the needs of their audience. As always, would love to hear from you and answer any questions you have. Thanks for your support in this fight!